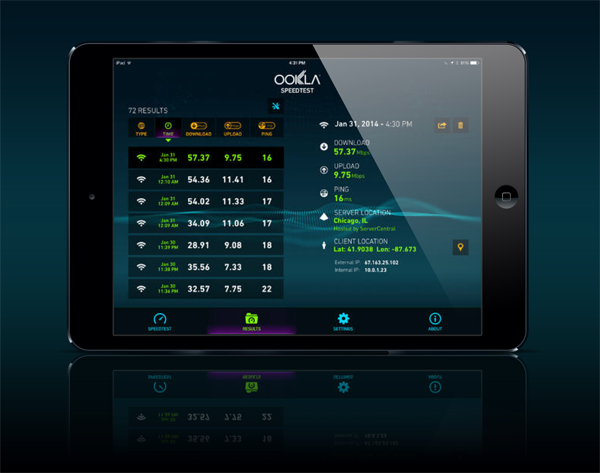 Ookla’s Speedtest.net app for iPhone, a popular choice for folks looking to keep tabs on data speed and performance, has just been updated to version 3.2, bringing with it – among other things – optimization for the iPad. The newly-universal app, which is used by millions worldwide, also offers landscape mode for users of the Apple tablet, and we’ve got the full run-down of the new features coming right up. If you’ve never used the Speedtest.net app or Web service before, the way it works is fairly simple. You fire it up, and using your location, the app automatically selects a close-by, reliable server. It also gives you – the user – the option to manually select a server if you so wish, which is ideal if you feel as though your results don’t correlate with what they should be showing. With cellular signals likely to fluctuate depending on location, the Speedtest.net app is a great way to determine where your particular device is getting the best coverage, and with support for Wi-Fi as well, you can readily draw comparisons between your home connection and your device’s 3G / 4G speeds. As a long time user of Speedtest.net’s app on all of the major platforms, I have always been impressed by the clean, dark user interface, and with the update to support the iPad, the UI is still as aesthetically pleasing as ever. 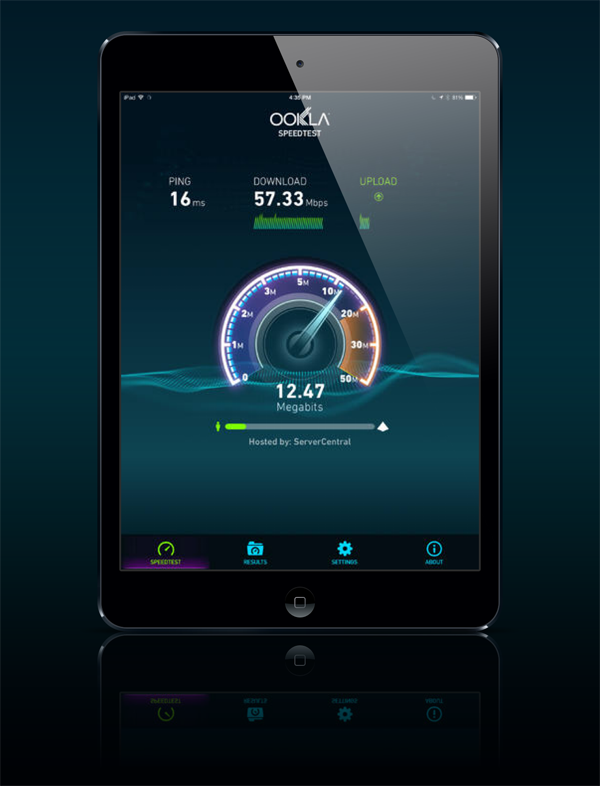 The support for landscape mode will really help you make the most out of the increased real estate offered by the iPad, and with an improved speedometer that can dynamically adjust connections of greater speed, the Speedtest.net app offers a more refined experience all-round. 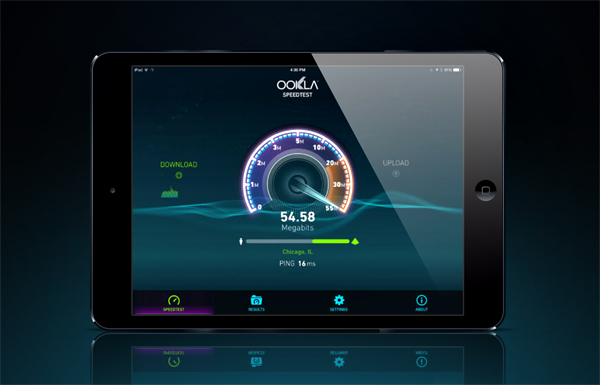 Considering how long the Speedtest.net app has been around for iPhone, the iPad support is long overdue, but as you can see from the screenshots, Ookla has kept the various UI elements looking nice and neat, and having briefly tried the new iPad version out for ourselves, we’re happy to report that it works as smoothly for the iPad as it always has done for iPhone.